All chiropractors have the same goal: getting the spine into the best alignment possible and keeping it that way. Optimal spinal alignment allows the body to operate in a self-healing and self-regulating mode. Dr. Rodd is one of only 250 chiropractors in the world today who is trained and certified in the NUCCA method of adjustment. 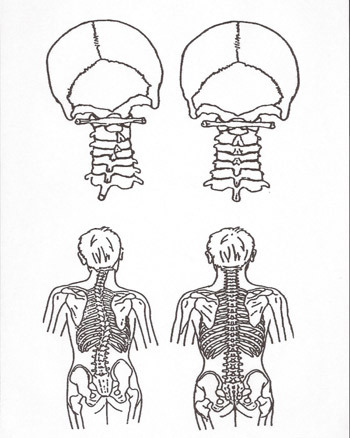 NUCCA focuses on spinal alignment that begins with a properly positioned head and neck. Think of the muscles along your spine as the strings of a puppet. The “puppet” part would be the lower portion of your spine. The control of the puppet, however, lies in the head and neck alignment. We take specific 3-dimensional X-rays of your head and neck to determine the precise degree of spinal subluxation (misalignment). Through our detailed analysis, we’re then able to calculate a customized adjustment that’s unique to your misalignment pattern. Our analysis is so specific that it allows the poorly positioned vertebra to glide gently into place with ideal angulation. Because we rely on before and after X-ray validation, results are often long-lasting. Many patients maintain their spinal correction for months at a time, making our care affordable and cost-effective. NUCCA care is gentle. The amount of force used during an adjustment is similar to the pressure used to check the ripeness of a tomato. Our technique allows us to take care of hundreds of conditions to produce consistent results and positive outcomes. We have patients that drive hundreds of miles to undergo our gentle care. We’ve had the privilege of helping many people with devastating conditions. These conditions include everything from chronic migraine headaches and vertigo to debilitating pain and involuntary tremors. We’d love to welcome you to our chiropractic practice. Our patients appreciate our attention to detail and how good they feel when they receive one of our precise adjustments. You’ll find that we’re very accommodating: we’re open late and provide on-site X-rays for your convenience. Please contact us today for a free consultation!